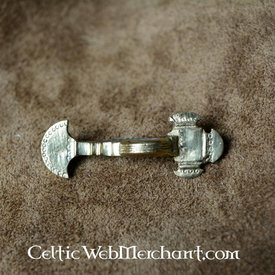 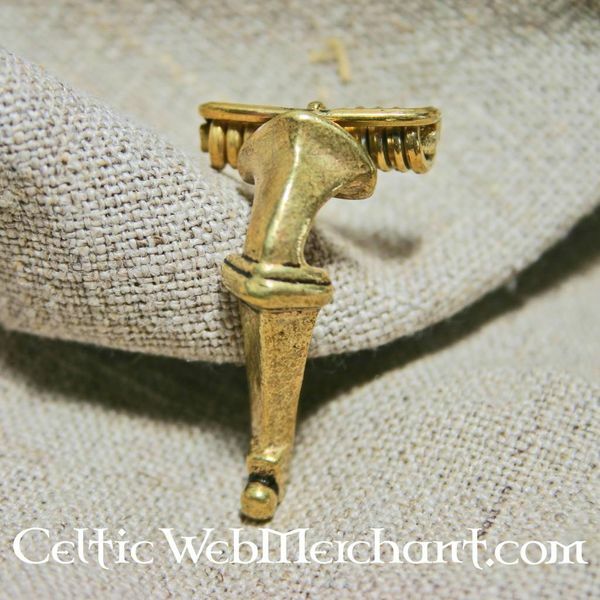 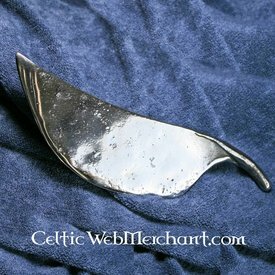 This is a replica of a fibula type that was popular in the Roman provinces and Germania between ca. 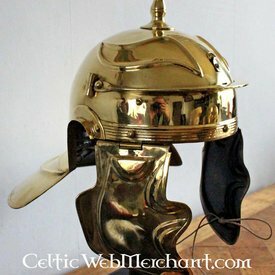 40-70 AD. 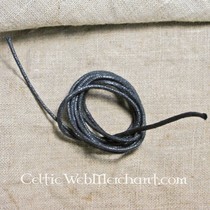 Originals are found along the Lîmes, in Bohemia, the Alps and even Scandinavia. They were used to fasten clothing, such as the peplos. 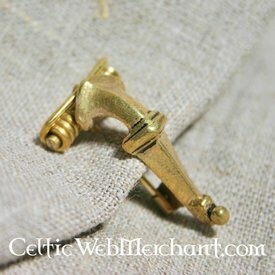 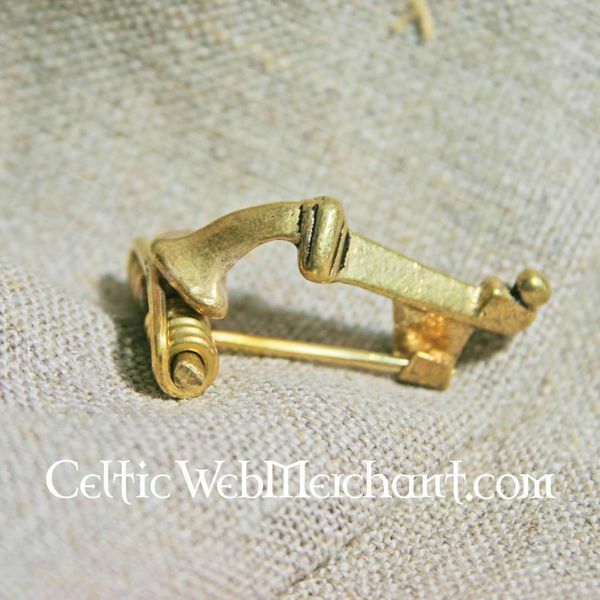 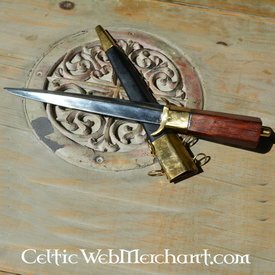 The fibula is made of brass and is 3,5 x 2 x 1,5 cm large.